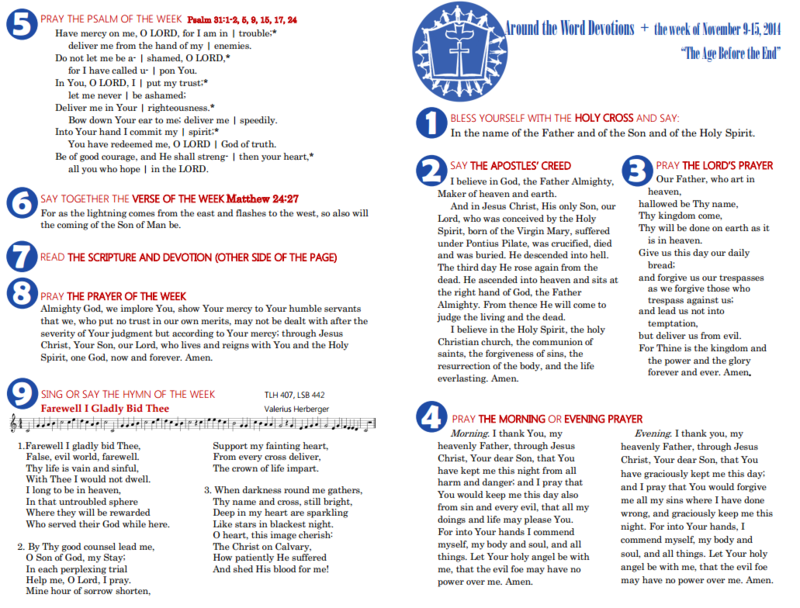 Around the Word publishes a weekly devotion with daily meditations. These devotions include a Psalm, Verse, Prayer, and Hymn for the Week, as well as the order of devotion from the Small Catechism. Download the most recent devotion below, or sign-up to receive these devotions by email. 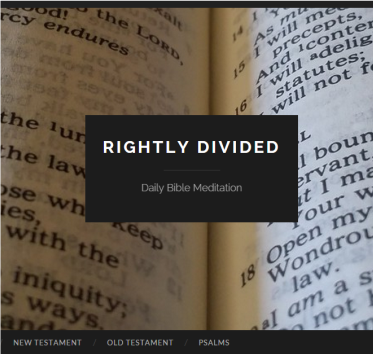 Rightly Divided is a daily Bible Meditation Blog. Each day has notes on three chapters of the Bible: a Psalm, a chapter of the Old Testament, and a chapter of the New Testament. Written by ordained pastors of the Lutheran Church, you can be confident that these devotional notes express the truth of the Scriptures and the centrality of Jesus. The notes help you pay attention to the words of the text, and suggest specific passages for meditating on the words of our Lord. Read along with one or all three, and join the conversation in our Facebook Group.